Organizations of all types and sizes can benefit from the clear, reliable communication options that 2 way radios provide. The right device can contribute to everything from increased efficiency to employee safety and organizational security. 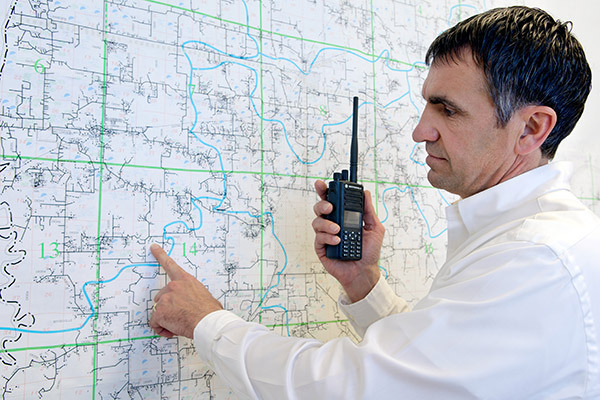 There are a number of factors you should consider when selecting a two way radio for your organization, and inevitably, your organization’s budget is one of them. Thanks to technological advances, it’s never been easier to get your business set up with two way communication devices that deliver maximum value for their cost. To help you in your decision-making process, we’ve identified six of the top 2 way radio solutions for under $1,000 based on quality, value and features. The HT Series represent classic models in Nova Communications’ portfolio. Standard features include availability in low band, VHF and UHF and crisp, clear audio quality in a small, lightweight and durable package. 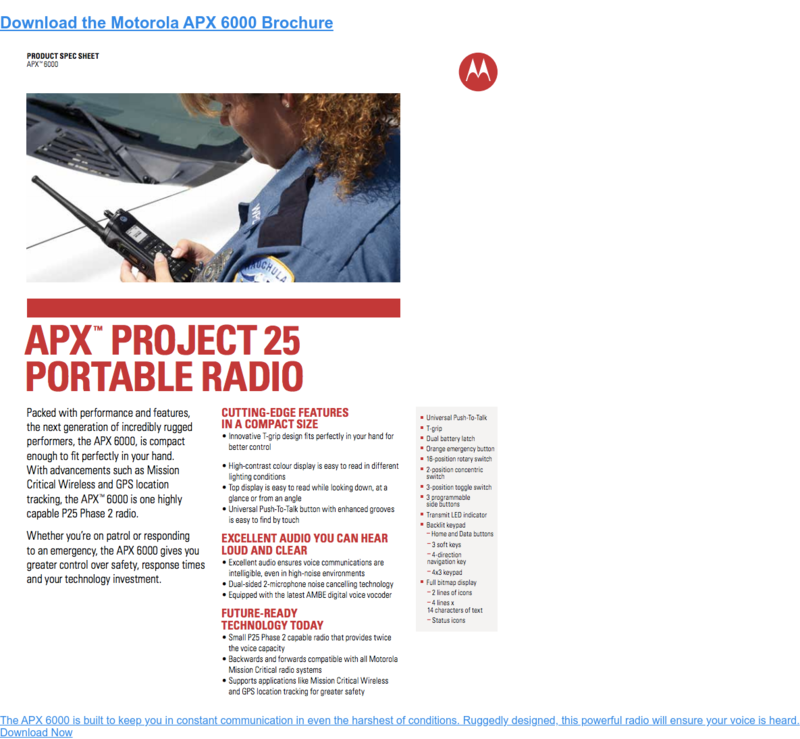 These radios are set to move to MOTOTRBO digital radios in a few years. Whether you require small business or industrial walkie talkies, the XPR3000 Series digital radio devices can help to put the power of digital communications within reach. The XPR3000 Series also offers the added flexibility of having both analog and digital capabilities ensuring you can stay connected as your business evolves and your communications needs shift. Standard features of the MOTOTRBO XPR3000 Series include compact, lightweight design; intuitive and easy-to-use display and navigation; up to 40% longer battery life with IMPRES technology, and suppression filters that automatically and intelligently adjust to compensate for background noise. Extremely durable radios, all models in the XPR3000 series feature a two-year warranty, are waterproof (IP55 rating) and meet US Military 810 C, D, E, F and G standards. Digital communication opens up a world of communications possibilities including clearer audio, integrated voice and data, text messaging and more that are beyond the capabilities of analog. MOTOTRBO XPR6000 digitally-enabled industrial walkie talkies work in both analog and digital modes and are part of a scalable solution that keeps you connected. All models are equipped with a variety of features that support ease-of-use and durability, including powerful, front-projecting speakers; tri-colour LED indicator for clear, visible feedback of calling, scanning, roaming and monitoring features; emergency button alerts and waterproofing (submersible in 1 meter of fresh water up to 30 minutes). Radios in this series also come in intrinsically safe options (for use in locations where ﬂammable gas, vapours or combustible dust may be present) when ordered with the CSA/FM radio and battery option. Models from the XPR6000 Series can also be rented from Nova Communications. Unsure of whether or not one of these models is right for you? 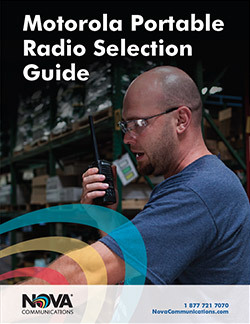 Get in touch with Nova Communications toll free at 1-877-721-7070 or download our FREE Portable Two Way Radio Selection Guide for information on how to determine which 2 way radio is right for your organization.